Cuba, officially the Republic of Cuba, is a country comprising the island of Cuba as well as Isla de la Juventud and several minor archipelagos. It is South of both the U.S. state of Florida and the Bahamas, West of Haiti, and North of Jamaica. The largest city and capital is Havana; other major cities are Santiago de Cuba and Camagüey. 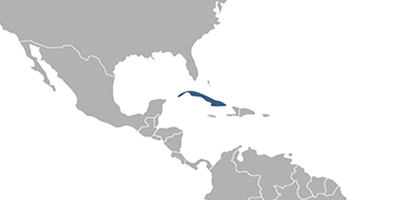 Cuba is the largest island in the Caribbean, with an area of 109,884 square kilometres (42,426 sq mi) with population of over 11 million. Fees associated with registration of IP rights in Cuba are available in the fee calculator.